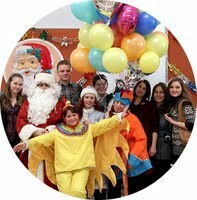 “Danilovtsy” is a community of young volunteers united by a will to help children. We are not doctors and not teachers, but we are faithful friends for hundreds of children. We are to help them in overcoming orphancy, addictions and illnesses. Children always remain the same, even in hospital: they want to play, communicate and study something creative. 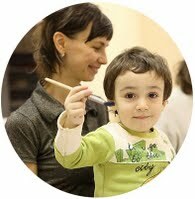 Together we play, talk, laugh, take part in master classes, make little performances, learn drawing, sculpturing and even cooking! Generally speaking, we do everything that can be called friendship! And often this mere volunteers’ participation heals young souls, suffering behind the walls of the hospitals, not worse than the medicines. The history of the movement started in 2008, when young congregation of St. Daniel’s Monastery in Moscow started to visit children, undergoing treatment for cancerous diseases in one of the Moscow’s hospitals. Those visits were blessed by Father Superior Alexis. At that time there were only a few of us, but several years later we’ve grown into a large community of volunteers, well known not only in Moscow but throughout Russia. help the needy by making minor apartments renovations, doing some technical work, etc. “Danilovtsy” means double help. Supporting children in coping with their diseases, we stimulate volunteers to improve their moral qualities as well! Creating our movement 5 years ago, we set a goal not only to care about children: another priority for us is the youngsters’ personal growth. While many charitable institutions care about children, few of them pay attention to the youth as well. Indeed, participating in voluntary work makes one’s personality better. There were many cases of that in the lifetime of our movement! Someone finds out that he is gifted in doing something, someone becomes religious, and someone even starts a family! To how many have we helped? Every year we arrange about 480 visits, meeting approximately 7,500 of our wards. It means that during 4 years of our work “Danilovtsy” took part in the lives of 30,000 children and adults! 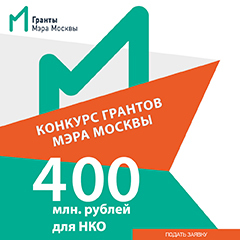 At this moment the “Danilovtsy” movement includes approximately 500 volunteers and 18 administrative team members. Our main expenses are: buying various stuff for volunteers’ activities and modest salaries for administrative team members. Every visit to our wards requires $30 on average. We make over 10 visits per week. 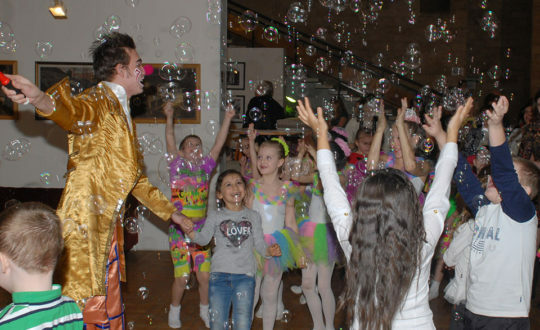 For holidays we prepare special programs for children (concerts, musicians’ performances, clowns and gifts). Arrangement of such events costs about $200-$300 each. 1 director, 1 secretary and 1 accountant. Why are we asking you to help? Unfortunately, company, which supported our activity, can’t help us anymore. It is not possible to explain these “adult problems” to children, waiting every week for volunteers to come, cherishing their visits. We can’t let our little friends down, and we will fight with might and main for our existence and the right to help! Substantial practical experience and accumulated knowledge allows the “Danilovtsy” movement to move on. We want not only to continue our voluntary work, but to expand it as well. Our dream is to create a school of coordinators, in which everyone who wants to make a difference could acquire necessary knowledge and skills in organizing voluntary activities. Here you can see every donation made and also view the reports on the work volunteers conducted. 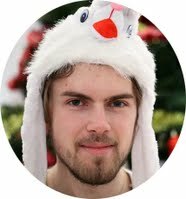 Your help is very important for us!